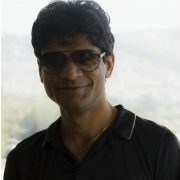 I am a Researcher at Microsoft Research India. My work spans the areas of language design, type systems, program verification, and software security. More specifically, I am interested in developing formal techniques for writing provably correct and secure software. I am one of the core designers and developers of F*, a language for program verification. In Project Everest, we are using F* to build and deploy a verified HTTPS stack. I received my PhD from the Computer Science Dept. at the University of Maryland, College Park, where I was advised by Michael Hicks. Before that, I did M.S. from the Computer Science Dept. at the Stony Brook University working with Rob Johnson. Sub-reviewer: IEEE S&P 2017, IEEE S&P 2016, TACAS 2016, IEEE S&P 2015, ESOP 2015, ICFP 2015, POPL 2014, CSF 2014, OOPSLA 2014, TFP 2013, NDSS 2012. I was a guest lecturer for the Principles of Programming Languages Course (Monsoon 2018) at IIIT-Hyderabad. I gave an F* tutorial at the Winter School in Software Engineering’2017 at Pune. I co-taught F* at the Computer-aided security proofs summer school, Aarhus in Oct. 2017 (course web page, course material).